At Dwell Nona Place, we’re not only committed to providing luxury apartments in Lake Nona – we’re committed to reducing our impact on the environment, too. Our 1, 2 & 3 bedroom apartments, and 3-bedroom luxury eco-friendly townhomes come standard with Energy Star GE® appliances, including refrigerator, microwave, dishwasher, range, and garbage disposal. Energy Star products are independently certified to save energy without sacrificing convenience or functionality. While you will enjoy the many benefits of eco-friendly living at Dwell Nona Place, you will always be able to enjoy several eco-friendly attractions and amenities throughout the Orlando area. Launched in 2007, Mayor Buddy Dyer’s green initiative, Green Works Orlando, began working towards transforming the City of Orlando into one of the most socially vibrant, environmentally-friendly communities in the United States. So far, the initiative has achieved more than $1 million in annual energy savings through successes, such as launched car-sharing and bike-sharing programs, energy efficient retrofits to 1,200 houses, a 35 percent increase in recycling, and the establishment of five community gardens as well as the planting of more than 10,000 trees. Moving forward, Orlando is continuing to improve seven focus areas, including the construction of energy-efficient buildings, use of local food systems, development of green jobs and companies, increased livability and quality of life within the city, upgrades to the energy development of solid waste and recycling efforts, increased public transportation opportunities, and sustainable water management and conservation. 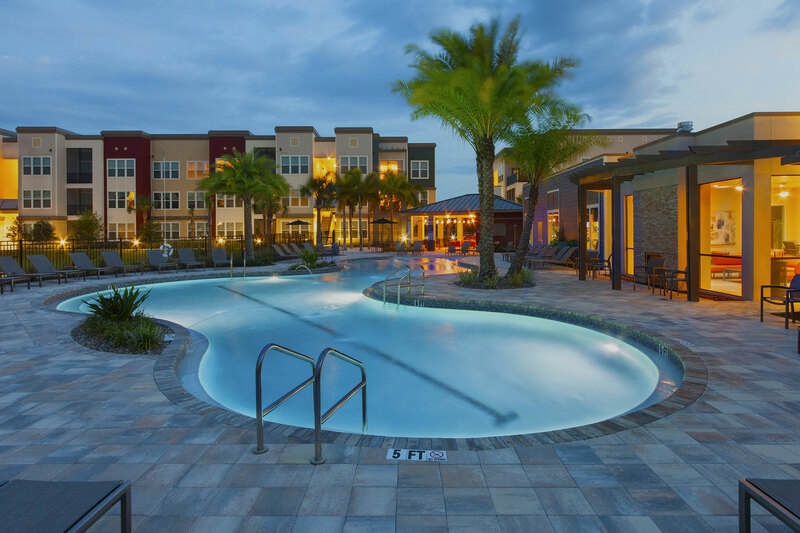 For its efforts in keeping with community goals, Dwell Nona Place earned a Gold Certification from the Florida Green Building Coalition and is a Florida Water Star certified development. We’re proud to be a Florida Green Property providing luxury accommodations to the Lake Nona community. Call us today to learn more about our community and the luxury amenities we can offer you at our eco-friendly apartments in Lake Nona!